Meet Monique. She is a 13-year-old DECV student from Melbourne Australia. Her interests include: photography, singing, cooking, spending time with her family and writing. She also has a passionate message for anyone out there who is being bullied or has been bullied. From a young age, she knew that she didn’t want to be just another person who never made their mark on the world. So, what did she do? 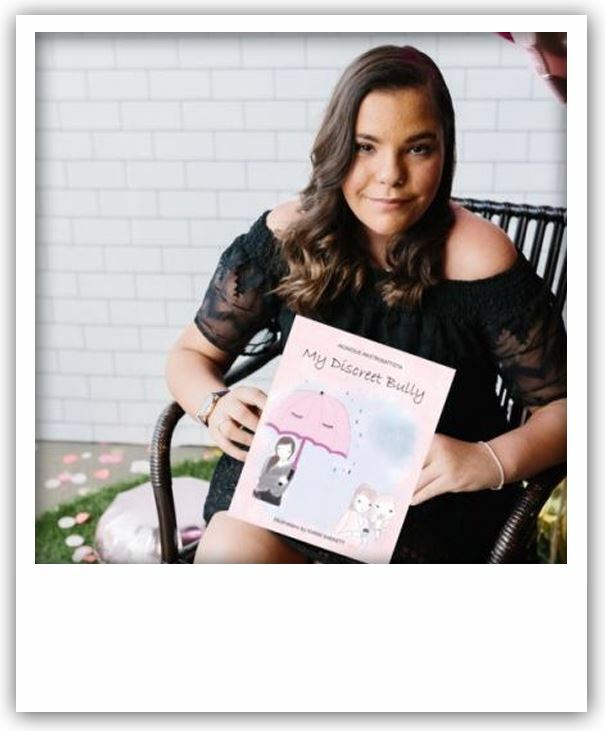 Monique wrote a book titled ‘My Discreet Bully’ and set up a website to raise and share awareness for those who have been or are being bullied. Her message? If you have been bullied, please know that you are not the culprit; it’s the people who bully you that have insecurities of their own. As Monique has meetings and interviews to help raise bullying awareness, DECV provides the perfect learning space with its flexible environment and support. This has helped Monique continue to raise awareness without her education suffering. Monique plans to continue her blog and shortly she will be releasing a new line of merchandise, as well as working on another book. How can you help Monique get the word out there? By going to https://getkind.net/ambassadors/ and sharing the hashtag #getkind around on social media.